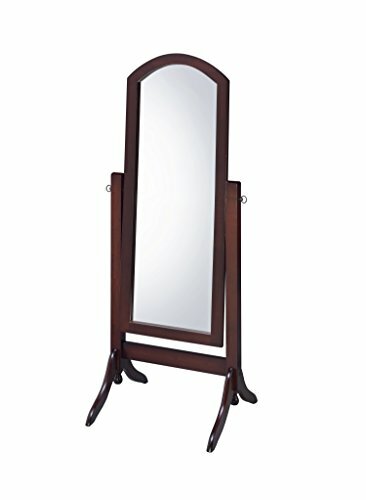 Proman Products barrington cheval mirror in Walnut rubber wood with arc top finish. This gracious rectangular cheval mirror puts on an extra decorative Element to your room. Designed with a Swivel-Tilt capability, this full-length standalone mirror can easily be adjusted to the angle that you want. The sturdy rubber wood frame in Walnut gives the feeling of stylish, neat, and elegant. Barrington cheval mirror is a piece of furniture and decor perfect to the bedroom, living room, dining room, or dressing area. If you have any questions about this product by Proman Products, contact us by completing and submitting the form below. If you are looking for a specif part number, please include it with your message.